There are lots of ways you might have been using to learn new vocabulary from different languages. But it’s not always easy as it sounds, some time we really get frustrated just by finding and remembering those difficult words into our mind but, EggWorded makes this easy for us to learn new vocabulary from different languages while playing the EggWorded minigame, an android app developed by Pokejoy which is a cool and fun way of learning new vocabulary from different language very easily. You can download this app on your smartphone and it help you to learn new vocabulary from so many different languages just by playing a cool minigame on the app. The app allows you to play and challenge your friend against you, to test your knowledge with your friends. 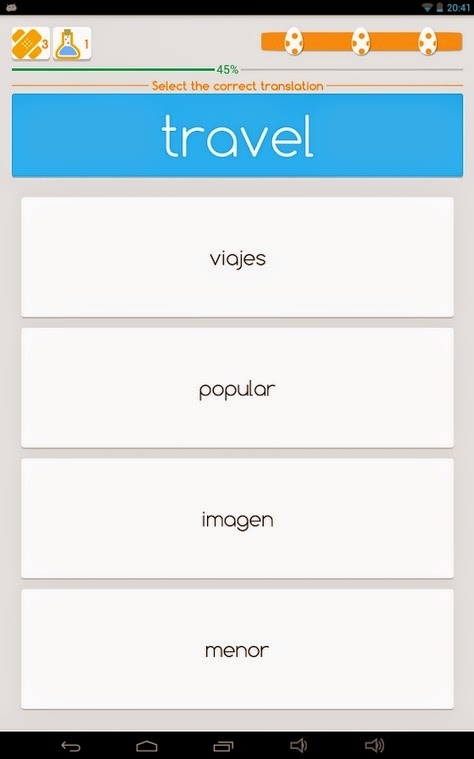 If you select the word ‘Travel’ in English then your friend has to choose the most appropriate word from the four different words to win the challenge. If you are ready to test your knowledge you can get the app from Google Play Store. Note: The app requires an active internet connection to work properly on your android smartphone. You can send your views about the app in the comments below, you can also share your experience about the app if you already have used this app on your smartphone. This article is written and posted by Rizwan Ahmad Author and founder of cyberockk.com, He is a tech blogger from India and he loves to share his thoughts by writing articles on this site to the different topics related to android apps, mobiles, gadgets etc.